Many people just pick a slot machine that looks cool and try their luck, but if you’re reading this then chances are you want to get an edge. How do you win playing online slots? First, you need to be smart about the games you choose. Read on to familiarise yourself with the different kinds of slots and find out how you can pick the biggest winners every time! First, it’s important you know the kind of slot you’re going to play and the differences between them. Check out the information below to acquaint yourself with the different games and find out the best online casinos for slots, video poker and fruit machines. When we simply refer to “slots” we mean the classic, multi-reel games packed full of bonus features and different themes. You’ll find them at every online casino, and find a ton of them, too! What are the best UK online casinos for slots? Video Poker machines are very similar to online slots, and are often classed as a subset of slot. However, they are based entirely around the game of poker and often offer a lower house edge than most slot machines. 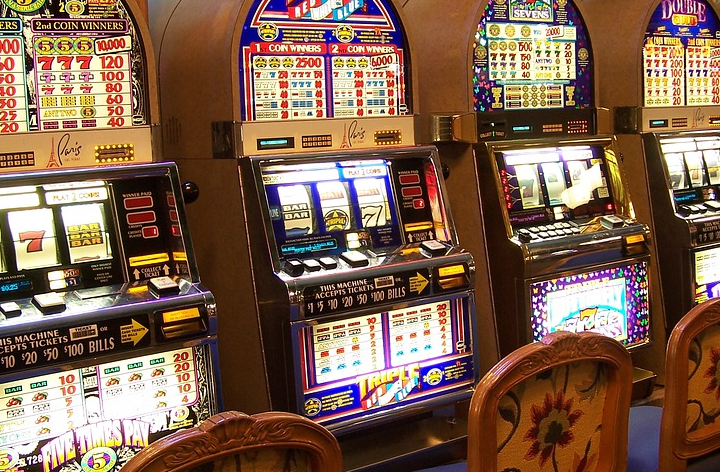 Fruit Machines are a staple at pubs all over the UK, so chances are you’re familiar with these simply slot machines. Typically, Fruit Machines are less elaborate than your usual video slots, but these days you can find some pretty fancy ones (i.e. ones that pay out big) online. Now that you know what type of game you’re going to play, it’s time to narrow it down further and work out what is going to give you the best bang for your buck when you play online slots. To play like a pro and really get that expert’s edge, here are the two questions you should be asking before you spin the reels on your preferred slot machine. What is the Return to Player percentage? The Return to Player percentage (RTP) is an expression of how much you expect to see back when you wager. For example, if a game has an RTP of 98.25%, then you will expect to receive £98.25 for every £100 you wager. Of course, this is an average figure; one £100 wager might return £55 and another might return £2,182. However, over the long term, it averages out to £98.25. Naturally, the higher the RTP, the better value the game! A high volatility slot pays out infrequently. However, the prizes are often large. A low volatility slot often pays out small prizes. However, it pays our regularly. Which one you prefer comes down to personal preference, but be sure to conserve your bankroll if your game of choice is a high volatility one!